The silver pendant found in Iceland can be interpreted as either a Thor’s hammer, also known as ’Mjölnir’, or a crucifix. The similarity was convenient for the Vikings who had to deal with a Europe that was under the powerful influence of the Catholic Church. Dating from the 9th to 11th centuries, about fifty Thor’s hammer pendants have been found spread throughout Scandinavia (Norway, Sweden and Denmark), most commonly discovered in areas with a strong Christian influence. 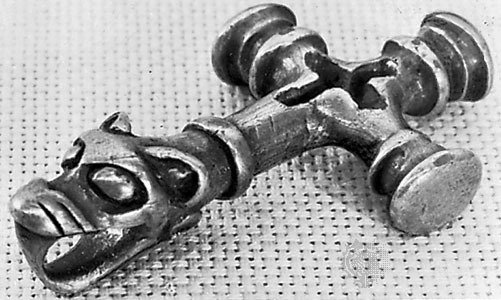 It is therefore believed that the wearing of Thor’s hammers was a silent protest against the introduction of Christianity – and because of the similarity between a ‘Mjölnir’ pendant and a crucifix, those who followed Norse religion could wear the pendant with a low risk of being prosecuted and penalized by the Church. Some Vikings let themselves be prime-signed (Latin: prima signatio; to receive ‘the first marking with a cross’ – implied the sign of the cross), to be accepted among Christians. This was important considering entering into key alliances and to be able to trade in Christian countries such as England. 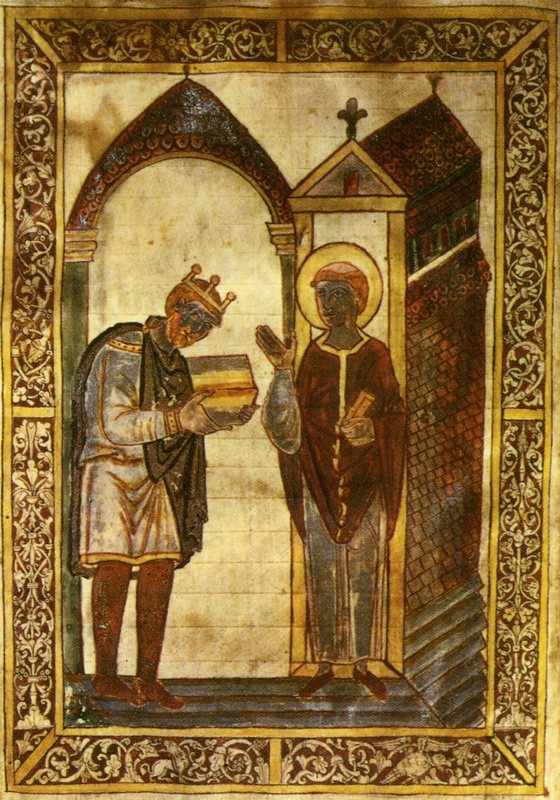 Athelstan (c. 894 – 27 October 939) was King of the Anglo-Saxons from 924 to 927 and King of the English from 927 to 939. This is the earliest surviving portrait of an English king. In Egil Skallagrimsson’s Saga (c. 910 – c. 990) it is told that Egil and his brother had been in the service of the English king Athelstan as mercenaries. King Athelstan, who was a Christian, asked them to be prime-signed. A Viking who worked for a Christian king and was prime-signed, had a big advantage: He was accepted as a Christian among Christians and at the same time could keep his pagan beliefs. He switched religion if the situation demanded it, and could continue to follow the custom of sacrificing to Odin when he came back home. Denmark was officially converted to Christianity in the mid 10th century, while Norway – which at the time included Iceland, Orkney, the Faroe Islands and Greenland – was considered Christian when Olaf the Holy made Christianity the official religion in about 1023 AD. In Sweden, however, Norse religion continued to thrive until well into the 12th century when the great pagan shrine at Uppsala was finally destroyed. The fact that Christianity became the official state religion in Norway in the year 1023 AD does not mean that all Vikings followed the teachings of Christianity. It is believed that many continued to follow Norse religion, and we have no record of when it completely disappeared. Norse paganism never disappeared. In fact, it is growing in Europe and in North America today! I have one like this and I do wear it if I feel the need to wear a cross where I live. The commonly repeated assertion that this is a ‘disguised’ Thor’s Hammer is an error. Repeating an error does not make it correct! The Foss Hammer dates back to the 9th century when Iceland was still heathen and nobody had any fear of being persecuted by the shavelings. The fact that it is ‘inverted’ does not help the proponents of the idea that it was a disguised crucifix or a hybrid of the two symbols. The ends of the Hammer are also club like in form and the head is in the form of a wolf-not a Christian symbol! Also it cannot be worn the other way around as there is no loop for a chain or cord to be fitted through so I fail to see how anyone logically can claim this to be a Christian artefact, disguised or not!